A workshop on “Radicalisation, Violent Extremism, Deradicalisation, Counter radicalization and Counter Violent Extremism in ECCAS Region was held from 1st to 3rd December 2014 in the conference hall of the Ministry of Foreign Affairs and Cooperation, in Brazzaville, Republic of Congo. The workshop was organized by the African Union (AU) through the African Centre for the Study and Research on Terrorism (ACSRT) in cooperation with the ECCAS General Secretariat, the Committee of Intelligence and Security Services of Africa (CISSA) and the Global Network of Religions for Children (GNRC). 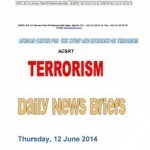 In 2012 and 2013, the ACSRT organized 3 CVE workshops. Two for North Africa, SAHEL and West African Regions, and one for EAST Africa and the Horn of Africa Region. 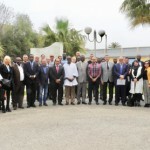 The third CVE workshop was jointly organized by the ACSRT and UNICRI in Algiers and dealt with radicalization and de-radicalization in prison settings. 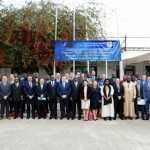 In April 2013, the ACSRT was actively involved in the Symposium on Countering Violent Extremism in West Africa and the SAHEL organized in cooperation with GCTF in Ouagadougou, from 18 to 19 April 2013. Participants included representatives of governments, the civil society and religious leaders from the following countries: Angola, Burundi, Cameroon, Central African Republic, Chad, Republic of Congo, Democratic Republic of Congo, Gabon, Equatorial Guinea and Rwanda. Presenters during the seminar consisted of academics, researchers and practitioners drawn from Algeria, Kenya, Niger, Nigeria, Rwanda, Tanzania, Uganda, the United Nations Organization on Drugs and Crimes (UNODC), African Council of Religious Leaders, ARIGATOU International and the League of Imams, Preachers and Ulemas of the Sahel Region. The opening ceremony was led by the Acting Secretary General of the Congolese Ministry of Foreign Affairs and Cooperation, HE Ambassador Jacques OMBINDZA, the Special Representative of the Chairperson of the African Union Commission for Counterterrorism Cooperation and Director of ACSRT, H.E. Ambassador Francisco MADEIRA and the Representative of the Executive Secretary of CISSA, Mr. Benoit NIYONZIMA. 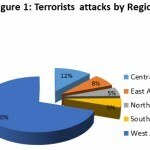 Terrorism and Violent Extremism threat assessment in Africa and, more specifically, in the ECCAS Region. Understanding the concepts of radicalization, violent extremism, de-radicalization, counter radicalization and counter violent extremism: processes, causes, effects, psychological and sociological approaches to the understanding of the concept and addressing that phenomenon. Understanding the fight against radicalization and the role of religious leaders and faith communities in preventing the pre-violence phase of radicalization. Respect of Human Rights and the Rule of Law in the fight against radicalization and violent extremism. The workshop helped clarify a number of concepts, definitions and terminology on terrorism, radicalism, fundamentalism and extremism which assisted in understanding the dialects involved in the radical discourse which lead to the commission of violent acts. The following factors were identified as those on which efficient counter radicalization action should be based: Education, good governance (political, economic, cultural, social), Tolerance, mutual respect, inclusion, Rule of law and Human Rights and Justice. Implement the recommendations of Resolution 1624 (2005) of the UN Security Council on incitement to violence. Promote cooperation programmes aimed at strengthening the justice systems of the regional Member States. Sensitize ECCAS Member States on establishing the NC-CVEPs. Step up awareness-raising of the need to counter radicalization and violent extremism in other regions of the continent by organizing seminars and other similar activities.